Thank you very much for subscribing to SCUBA News. This month we're pleased to have a guest article by Sam Andrews on some of the medicines we get from the sea. In response to Ian Kingston's message in Scuba News #176, if you want the really best diving, stay at Blue Waters Inn, Speyside and dive with Blue Waters Dive'n (5 star PADI). Hotel and diving is spectacular. I speak from first-hand experience. Taking away the pain with...venom?! The humble snail. Not the most exciting of creatures you would think. Cone snails (Conus) are a genus of marine snails…marine snails that hunt. Predating on worms, small fish and molluscs these slow-moving hunters are equipped with a toxic harpoon. 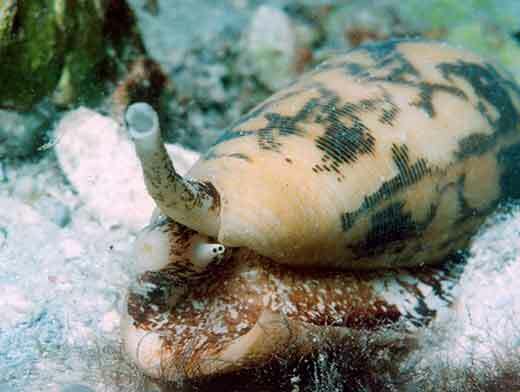 One speared, their prey is paralyzed and slowly but surely the cone snail can make its way over and feast. It's not all pain though, as a paper by Dr Fedosoc from the Russian Academy of Sciences and colleagues points out. It seems that the toxins have another use too - the development of pain killers. Just a word of warning if you do come across a cone snail. They will have a go at humans too. Most species will just sting you badly, but some can kill! Breaking bones is never fun, especially when the break is very complex. Sometimes the breaks are so complex they simply cannot repair by themselves, so surgery is needed. Bone grafting has been used for a number of years to help the healing process. Essentially grafts act as scaffolds onto which bone can grow. It seems that fully converting the calcium carbonate that corals use to create their exoskeleton into coralline hydroxyapatite is pretty decent grafting material, if a little fragile. But there is a problem - the grafts don't fully biodegrade. Ideally we don't want to leave grafts in the body if we can help it. Doing so introduces the risk of infection, and even a risk of re-fracture. All is not lost though. Kun Fu from Hainan Medical College, China and colleagues from the UK have managed to make some improvements. By partially converting the calcium carbonate into coralline hydroxyapatite, they were able to retain some of the natural biodegradability of calcium carbonate in the graft material. Good stuff! Of course, we can't keep harvesting corals for grafts but it opens up the possibility to explore the role of calcium carbonate further. 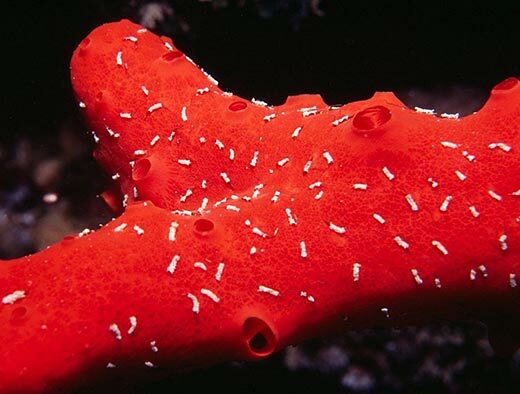 Marine sponges are sort of like a living pharmacy. The more we study them the more we find "pharmacologically-active chemicals" which we could use to help further medical science. Researchers like Sabine Ottinger from the University of Heidelberg and German Cancer Research Centre and colleagues are exploring novel ways tackling some cancers. Focusing their efforts the extraction of anticancer and cytotoxic (toxic to cells) compounds found within sponges, the team note that some of these compounds - in particular those found in one species Crambe crambe – may be useful for tacking cancer stem cells. This is all very much research in development - no treatment has been found, but it seems that the sponges have given us another area that is very much worth exploring. If you want to learn more about cancer and potential treatments, head on over to Buddhini Samarasinghe G+ page or her website where you can easily read her excellent "The Hallmarks of Cancer" series. Marine conservation, biology and ecology science communicator and writer. Photos: Tim Nicholson, David Burdick. If you would like to contribute an article to SCUBA News, please get in touch. Email news@scubatravel.co.uk. Your article must be original and can be about diving, sealife or the marine environment: a report on the diving in a specific area for example. Australian beaches have been closed following a spate of shark sightings and fatal attacks. But shark numbers are not to blame. 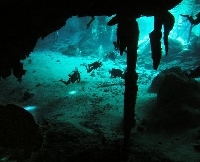 Most scuba tourists surveyed expressed a stronger preference for seeing large fish over large numbers of fish on dives. Some parts of the Caribbean no longer have many of these larger fish, such as snappers and groupers, due to a history of overfishing that continues today. 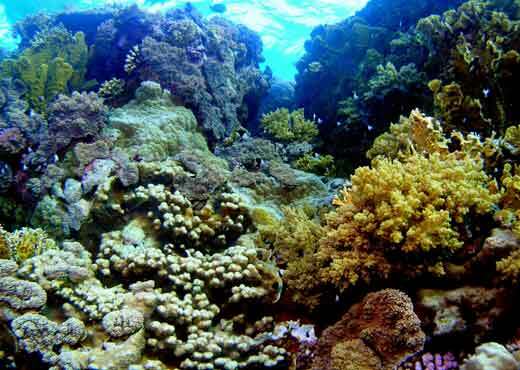 To safeguard tourism countries need to also safeguard their reefs. These giant fish migrate south from cold northern waters every winter. They are rarely seen as they swim deep and not much is known about where they go. One, at least, has been on his holidays to Bali, taking a short cut between the Pacific and the Indian Ocean. The high level of breeding within the reserve is likely to be seeding the surrounding fishing grounds. Pacific bluefin tuna are unique amongst bony fish as they are warm bodied and are capable of elevating their core body temperature above that of the surrounding water. They are also capable of diving down below 1000 m into much colder water which would stop the hearts of other animals.